The College’s Censor in Chief, Dr Peter Fleischl describes Fellowship as “the most important award the College makes. 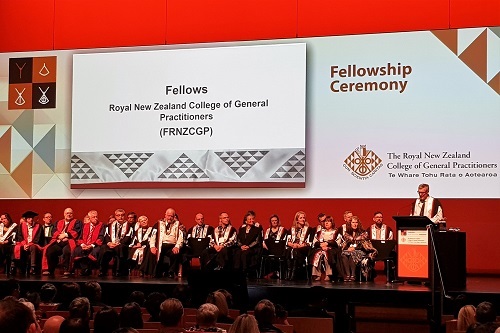 It is recognition by your peers that you completed your formal training and that you have attained high standards in general practice.” New Fellows were welcomed at the 2018 Fellowship and Awards Ceremony, which was hosted as part of the annual Conference for General Practice. In 2018 we welcomed 162 new Fellows , including 11 Māori and Pasifika Fellows , to the College. In addition, four Fellows were accepted into the College’s Division of Rural Hospital Medicine (DRHM) – and four doctors became dual Fellows (Fellows of both the College and DHRM).